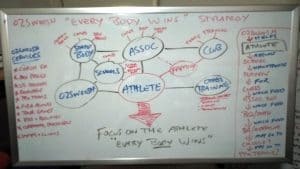 Ozswoosh pursues an “Every BODY Wins” Strategy! 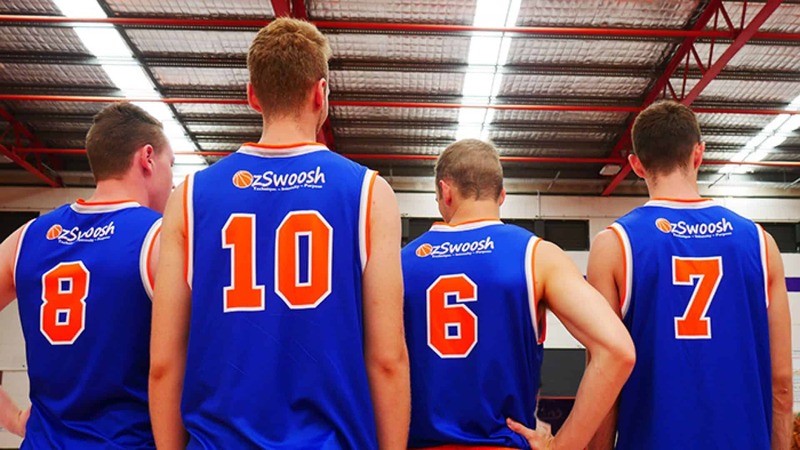 We have adopted this approach to help grow the sport and not threaten the ‘status quo’ as a privately run independent basketball organisation. Most people are unaware of our organisational approach. When establishing Ozswoosh Academy in 2017, we decided upon an individual focused model. So in the interest of transparency we thought we might share it. We concluded teams, organisations and businesses want “good people” first. So our approach is geared around working with and developing individuals to help them become not only good athletes, but good global citizens. So what is this ‘Every Body Wins” strategy? Put simply, Ozswoosh has an individual-centric focus. This sounds selfish right? But not with our approach. Let us explain. 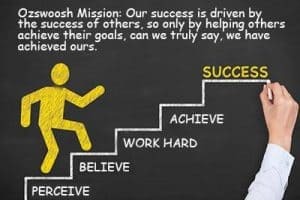 We have recognised that working to develop individuals and help them achieve their goals means we all (sporting/business organisations) succeed. 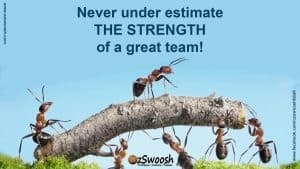 Ozswoosh knows helping others makes them happy, so we encourage individual growth through working together to achieve more for each individual. In other words, we grow and develop together. Our participants form an alumni, and move in and out of our many programs. Participants who have moved on to higher levels of play, come back into the programs to help expose others to what they have learned, this helps fast track the groups learning and moves them closer to their individual goals. We strongly believe encouraging our athletes to put themselves out for others helps everyone achieve. As a group of like-minded people we work to help others achieve their goals, not our own, and in doing so, we all succeed. So basically it means every BODY wins. Our vision is to help all organisations grow the sport through passionate people. When we help an individual start playing, make a rep team, make a school, regional or state team, go to college or make the pros we help every “BODY” (i.e organisation, family and individual) involved in the journey. Not just the athlete at the centre. So rather than worry about feeling threatened and protecting our patch, we want to grow the sport with good people. Respected people! As Spurs coach Greg Popovich would say, “ the right type of people”. If we can do that, every body wins. Our approach means, the bigger we grow, the better we can help the sport, and the less the status quo feel threatened. Organisations feel threatened when other organisations are drinking from the same trough (player pool). Ultimately no one owns the sport and no organisation owns the participants. When we are all dead and gone, the sport will live on. No organisation or individual is bigger than the game itself. We are all part of a herd “called basketball”, leaving from one organisation to go to another organisation should not be a concern (except at a service delivery level). The real threat is if we lose people from the sport all together. If you are not growing your sport, you threaten your own existence. With our Ozswoosh programs, some people think we only coach talented athletes. This could not be further from the truth, we coach human potential. Exposing individuals to Elite Player Training (i.e. methods usually only reserved for more advance athletes). Methods a good number of athletes may never gain access to. All athletes help each other develop. Ozswoosh athletes are required to agree to and abide by a “Statement of standards” (see here: https://ozswoosh.com/15-standards-ozswoosh-athletes-aspire-to/). Those who fail to meet our standards on a regular basis, unfortunately ‘cut themselves’ from the program. These standards apply to everyone involved athletes, parents and coaches. We want players who have a real love of the game and a work ethic, those are our two greatet pre-requisites. The third requirement is they be coachable and possess a growth mindset. We work to foster their love and passion as it is a driving motivation for continued participation. 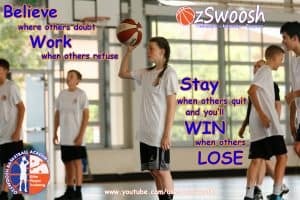 Ozswoosh understand in the scheme of life, basketball is just a game, the real motivation should be people development. Sport provides a great platform to teach people to become good global citizens. Coach Rowe’s motto is: “Perceive, Believe, Work Hard, Achieve” as he believes all success in life can follow this simple formula. Feel free to disagree, but this is what we (Ozswoosh) believe. Coach Rowe has played and coached basketball for 28 years and attained his level 2 in 1998 (Refreshed 2015 and 2016). For 2 years (1998-1999) he was employed as a Regional Development Officer for Basketball Queensland (BQ) and was a senior representative player (BSQ/GBL). He has experience coaching state and senior representative teams and is currently a BQ endorsed coaching educator. In 2000 he was employed as an Operations Manager of a 2,300 member basketball association (Darwin, NT). Professionally he is an entrepreneur business owner and founder of ozswoosh.com, Ozswoosh Basketball Academy, RSU Computer Solutions and Ideal in Design (all business still in existence). He is also a blogger and has his own Ozswoosh YouTube Channel. His Tertiary education is in Journalism (print and broadcast) and Graphic Design (print and promotional products). In 2005 Coach Rowe won an award as a radio presenter. He has also previously worked for government agencies as a Senior Communications Officer (State) and a Sports Programming Officer (local). 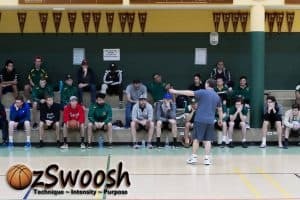 Coach Rowe is most passionate about coaching education and in 1997 produced two basketball videos sold to schools through-out Australia. The website and YouTube channel has received visits from every nation on the globe. He continues to privately mentor several coaches and basketball administrators both in Australia and overseas. Awesome read, it’s about the sport and helping one another, not pinching athletes.